Infinite Art Tournament: The Free Box Tapes #3: Miles Davis plays Porgy & Bess, and Steely Dan plays "Katy Lied." The Free Box Tapes #3: Miles Davis plays Porgy & Bess, and Steely Dan plays "Katy Lied." The third Free Box Tape was, like the first two in the series, recorded on a transparent c.1990 Memorex cassette tape with the still-familiar pale yellow case liner. The first few notes of Porgy & Bess are cut off, and both sides are more than a little tinny. One does rather miss album covers. 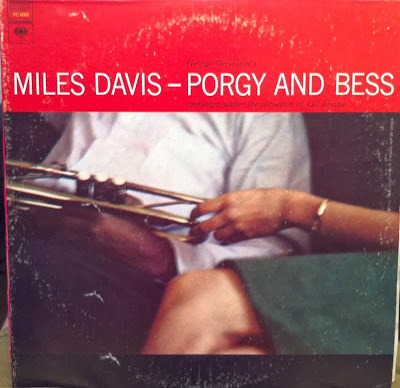 Sixty-Four Words: Miles Davis plays jazz arrangements from Gershwin’s Porgy & Bess? I mean, damn! It’s awesome! Could I possibly say otherwise? This landmark recording is backed here with one of the less successful records by Steely Dan, a band that fused complex harmonic structures with unconventional rhythms and what are often deemed “cerebral” lyrics, yet somehow produced only a clutch of blandly pleasant pop tunes. I have to check this one out. Does Miles Davis sing "Dirty Work" on this one?